Welcome to our book's website. 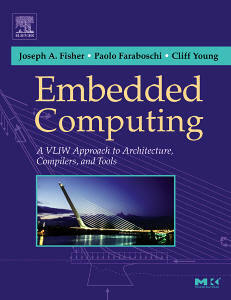 We hope you enjoy reading "Embedded Computing" as much as we have enjoyed writing it. The title of the book contains two major keywords: Embedded and VLIW (Very Long Instruction Word). Historically, the embedded computing community has rarely been related to the VLIW community. Technology is removing this separation: high-performance techniques such as VLIW that seemed too expensive for embedded designs have become feasible and popular. This change is bringing in a new age of embedded computing design, in which a high-performance processor is central. Increasingly, the traditional elements of nonprogrammable components, peripherals, interconnects and buses must be seen in a computing-centric light. Embedded computing designers must design systems that unify these elements with high-performance processor architectures, microarchitectures and compilers, and with the compilation tools, debuggers and simulators needed for application development. Since this book is about embedded computing, we define and explore that world in general, but with the strongest emphasis on the processing aspects. Then, within this new world of embedded, we show how the VLIW design philosophy matches the goals and constraints well. 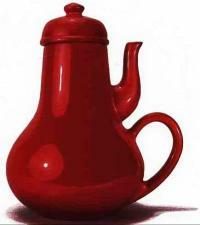 We do this in a way that clearly and systematically explains the unique problems in the embedded domain, but that also is approachable to those with a general background in architecture and compilation. Conversely, we also explain the VLIW approach and its implications and point out the ways in which VLIW, as contrasted with other high-performance architectural techniques, is uniquely suited to the embedded world. The VEX Toolset (for Linux-x86) can be downloaded from this HP Labs VEX download site. Please make sure you read the License Terms before downloading and using the toolset. VEX ("VLIW Example") is a compilation-simulation system that targets a wide class of embedded VLIW processor architectures, and enables compiling, simulating, analyzing and evaluating C programs for them. Visit the VEX Forum, where you can share your experience with the VEX tools. Send us your suggestions or comments by visiting our suggestion box.